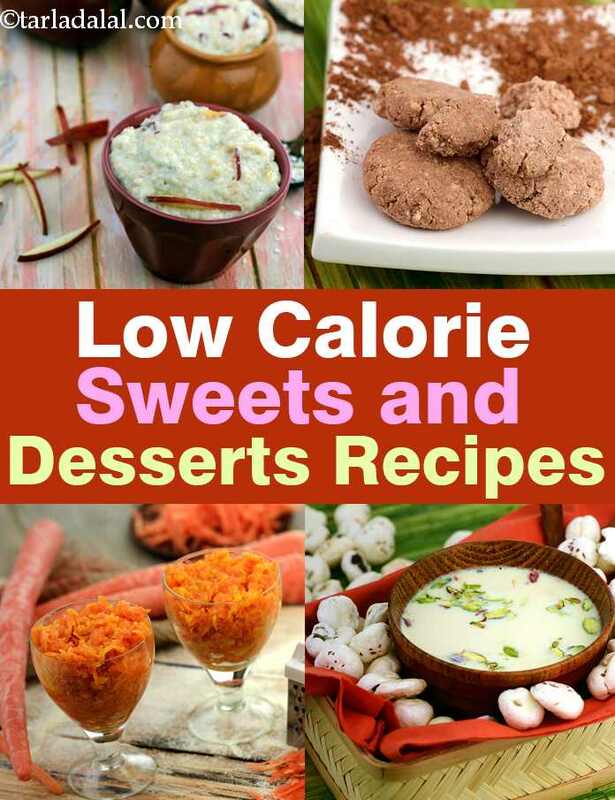 low calorie sweets and desserts recipes. Trying to lose weight but cannot because you have a sweet tooth? No worries! Here we bring you a section which has healthy low calorie sweets and desserts recipes that can be consumed during your weight loss regimen. But make sure that you consume them occasionally. The desserts in this section are prepared using low-fat milk products, less sugar or no sugar at all. Fruits and dry fruits like dates or natural sugar like honey are used for sweetening. Fig and Cardamom Delight is one of its kind dessert made with low-fat milk and figs which naturally adds to its sweetness and gives only 63 calories per serving. This recipe is also a great source of calcium. You can have 2 pieces of these Stuffed Lychees at one time without feeling guilty and it will also suffice your 18% of your daily calcium requirement. Try your hands on this quick and easy to make Strawberry Yoghurt made with low-fat curds and minimal amount of sugars. Better than consuming those store-bought flavoured yoghurts because it’s got fresh strawberries and is also low in fats. If you are avoiding dairy products in your diet then here are few brilliant options for you. Apple Crumble is one of its kind recipe which has a distinct flavour of stewed apples and cinnamon, cinnamon is also great for weight loss and should be included in your regular diet. This unique recipe of Ragi Sheera will make you fall in love with nachni. Nutritious ragi flour together with a single tablespoon of ghee makes five servings of this delicious cardamom flavoured dessert. Date and Nut Coconut Cocoa Balls are great alternatives when you’re craving for fat laden ladoos and this one is loaded with omega-3 fats with no added sugar as it gets its sweetness from dates.